The Supreme Court on Thursday directed the Union Ministry of Home Affairs and External Affairs to jointly consider the request for release and deportation of a Nigerian national, who is allegedly languishing in Dimapur District Sub Jail, Nagaland since September 2016. Nweze Raymond Chinenyeuba, a citizen of Nigeria, was taken to custody by Nagaland Police on September 9,2016 as he was found in Dimapur without a valid visa. Though he had a valid passport, he stated that his visa got stolen during his stay in Tamil Nadu. He was booked under Section 14 of the Foreigners Act for remaining in India without valid travel documents. In the trial before the Chief Judicial Magisrate, Dimapur, he pleaded guilty. On May 25, 2017, the CJM sentenced him to imprisonment for period already undergone under custody. "The lenient view is adopted since the accused has no criminal antecedents and this was his first offence. Moreover, the accused pleads for an opportunity to lead a reformed life", the CJM stated in the order. Thus, the period of 8 months and 17 days which he had undergone in custody since September 2016 was set off by the Magistrate, and he should have been released immediately after May 25, 2017. The CJM had also directed the District Magistrate and Commissioner of Police, Dimapur to take urgent steps to ensure that he reached his embassy. However, he was not released from Prison despite the CJM's order.He had no access to legal aid, and continued to remain in prison, though his period of sentence was over. On coming to know of his plight, Solomon Shaikh, a public spirited citizen moved representations on his behalf before the Union Ministry of Home Affairs and External Affairs. Solomon also moved a habeas corpus petition in the Supreme Court on behalf of Nweze, stating that he was being illegally detained in contravention of CJM's order. It was also pointed out in the petition that Nweze's mother passed away in June 2017 and father passed away in October 2017. As per the family customs of Nweze, the eldest son has to perform the last rites of parents. Since he could not go to Nigeria, the mortal remains of his parents are preserved in State Mortuary, Ebony, Nigeria, awaiting his arrival to perform the last rites, stated the petition. The petition filed through Advocates Abhishek Jebaraj, Abraham Mathews and Nishe Rajan Shonker made extensive reference to the order of the Supreme Court in Bhim Singh v Union of India, where it was held that failure to deport foreign nationals after their sentence amounts to violation of their right to life and liberty. The petition also stated that even non-citizens are entitled to right to life and personal liberty under Article 21 of the Constitution of India, as held by the apex court in National Human Rights Commission v. State of Arunachal Pradesh. 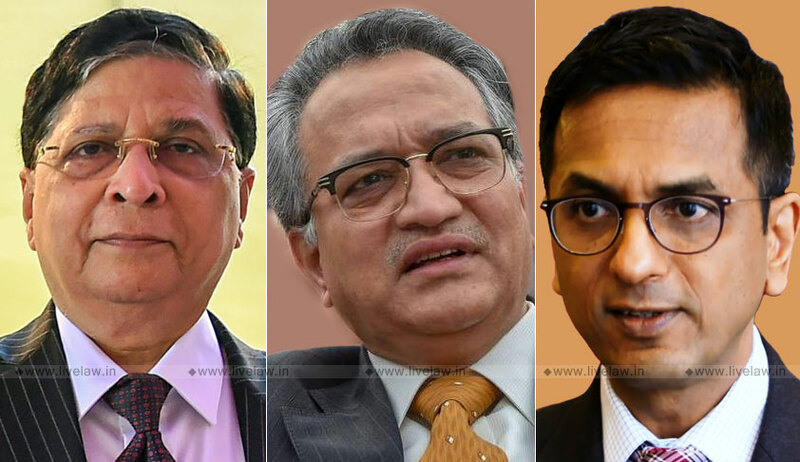 Considering the petition for admission on Thursday, the bench of Chief Justice Dipak Misra, Justice A M Khanwilkar, and Justice D Y Chandrachud, directed the Central Ministry to consider his representation within a period of four weeks.